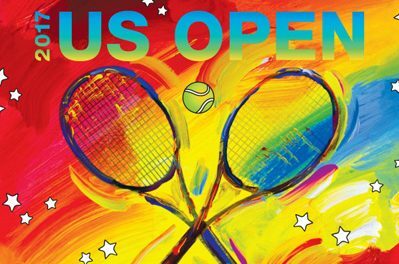 The US Open has had a ton of top players withdrawing. Novak Djokovic, Andy Murray, Stan Wawrinka, Kei Nishikori, and Milos Raonic are all not playing, leaving just Nadal, Federer, Cilic, and Juan Martin Del Potro as former champions. Dolgopolov is a dangerous shotmaker, but Struff has been in better form (coming off semis in Winston-Salem), and is arguably better than his current ranking. If Struff can keep his mindset clear he’ll win this match. Both players could be in better form but have shown some solid form overall this season. Berdych is a bigger hitter, but if Harrison dials up his serve and defends well he has an outside shot in this one. I’ll back the veteran Czech to prevail. The 22 year old qualifier Marterer is rising quickly up the rankings, Young has home court advantage but has not been impressive this summer. Despite his edge in experience, I don’t see Young winning this match. Look for the young German to pull off a slight upset. Two players with aggressive games that can fly wildly if their form is off. Neither player is performing well right now, which makes for what should be a sloppy, desperate match. The veteran Verdasco has more success at this level than Pospisil and probably nabs it, perhaps in five sets. Lopez has never lost to Kuznetsov, but the Spanish veteran is in terrible form. With his serve and volley game not clicking, look for Kuznetsov to find some momentum and win points from the baseline to pull off an upset. Fratangelo has earned a wild card and he has a punchers chance against the big server Karlovic. The veteran has been in decline this season, but his serve is still hard to break. Karlovic probably wins but Fratangelo is still one to watch. Querrey trails in the h2h but is in the best form of his tennis career, Simon tends to fluke solid slam results but he’s been in a marked decline this Summer. Querrey should have too much power to lose to Simon the pusher. Tomic hasn’t played since Wimbledon after a crisis of faith and confidence in his desire to play tennis. Muller, a steady veteran, has been playing well this year and on hard courts his serve is most lethal. Look for Muller to keep the pressure on Tomic and grab the win in this one. Shapovalov’s stock is rapidly rising, and he looks like the next great ATP star after his run at the Rogers Cup, where he made the semifinals. Medvedev reached the quarters in Washington but has struggled since. The young Russian is a talent, but the form favors the Canadian to win this one rather easily. Both Edmund and Haase have reached a pair of semifinals this Summer, Edmund on hard courts is probably the better player though. Haase is a talent but he’s underachieved his whole career, the young British player should prevail in a match that should feature great ball striking. Donaldson just beat Basilashvili in Cincy and has had a fantastic summer. The young American broke through with eight wins on North American hard courts this summer and looks primed for a strong run at the US Open. Basilashvili is a good ball striker who can frustrate his opposition though, and he’s improved a lot in his own right. World #1 again with two career US Open titles, Rafael Nadal begins his journey against Dusan Lajovic. American Tommy Paul has a great shot at upsetting Taro Daniel before falling to Nadal in round 2. Richard Gasquet hasn’t been fit but his path to round 3 is just Leonardo Mayer, and Yuichi Sugita or wild card Geoffrey Blancaneaux, who is making his main draw Grand Slam debut. Sugita has had some good runs this season, but Gasquet should be good enough to reach round 3 before getting dumped out by Nadal. Fabio Fognini should beat his countryman, qualifier Stefano Travaglia, then Viktor Troicki or Norbert Gombos. Tomas Berdych will face Struff/Dolgopolov in round 2 after Harrison. Struff could be a dark horse, but Berdych over Fognini is the sensible pick in round 3. David Goffin is struggling and should be on upset alert against pesky veteran Julien Benneteau, Steve Darcis will be favored against Guido Pella, but an underdog against his countryman Goffin in round 2. Gael Monfils, if healthy, should beat Jeremy Chardy and the Young/Marterer winner, then Goffin in round 3 to reach the second week. Grigor Dimitrov has an easy path to the second week. The Cincy champ opens with Vaclav Safranek, a qualifier, Aljaz Bedene or Andrey Rublev will be next, with Winston-Salem finalist Damir Dzumhur likely next in round 3. Dzumhur faces Pablo Cuevas, who is poor on hard courts, and either Nicolas Kicker or qualifier Cedrik-Marcel Stebe. Roger Federer has five US Open titles and he’s the favorite for title #6 this US Open. Federer should beat American Frances Tiafoe to start his US Open journey, Mikhail Youzhny faces Blaz Kavcic before Federer in round 2. I have Andrey Kuznetsov beating Lopez, then Verdasco/Pospisil before falling to Federer in round 3. Philipp Kohlschreiber hasn’t been healthy, he opens with qualifier Tim Smyczek, Santiago Giraldo should beat qualifier Vincent Millot. Nick Kyrgios opens with John Millman, then should defeat Malek Jaziri/Thiago Monteiro in round 2. Kyrgios has the talent to reach the second week, only a mentality issue (or failing fitness) will keep him from making the round of 16. Winston-Salem champion Roberto Bautista Agut faces veteran Andreas Seppi, Dustin Brown will take on fellow big hitter Thomaz Bellucci in round 2. Former US Open champion Juan Martin Del Potro faces Henri Laaksonen, Adrian Menendez-Maceiras faces wild card Patrick Kypson. Del Potro should reach the third round, but I back RBA’s form to defeat the Argentine fan favorite at that stage. American young gun Taylor Fritz is in good form, but facing Dominic Thiem in round 2 will be a tough task. Thiem should dispatch Alex De Minaur, Fritz opens with the fading Marcos Baghdatis in round 2 to setup that match. I have Thiem reaching round 3. Adrian Mannarino is 7-3 in his last three tournaments, he should extend that great form and defeat Ricardas Berankis, then Karlovic or Fratangelo. Thiem over Mannarino is my pick in round 3. Russia’s Karen Khachanov should defeat Rendy Lu then Ernesto Escobedo or Radu Albot before falling to Sam Querrey in round 3. Querrey faces Dudi Sela or Chris Eubanks in round 2 after defeating Simon. Mischa Zverev has not been in good form since early in the season, he’s the favorite against Thai-Son Kwiatkowski, then Lukas Lacko or Benoit Paire in round 2. John Isner is the clear favorite in this section, Isner will need to get past big server Pierre-Hugues Herbert, then rising young gun Hyeon Chung (or Horacio Zeballos). Chung is a possible dark horse, but Isner has the experience and he’s playing at home. Look for him to beat Zverev in round 3 to reach week 2. Jack Sock is a heavy favorite to reach week 2, he should defeat Jordan Thompson, a pesky competitor who lacks the power that Sock has in his game. Sock should then defeat Thomas Fabbiano or J.P. Smith before facing Gilles Muller in round 3. After Tomic, Muller will face Joao Sousa or Paolo Lorenzi in round 2. Sock over Muller is the sensible pick in round 3, Sock has a crisper game, but could fall victim to the upset. Alexander Zverev claimed two titles this summer and has a great chance to win the US Open with so many other players missing from the draw. Zverev faces Darian King, a qualifier from Barbados, Zverev will then face Borna Coric or Jiri Vesely in round 2. Zverev will then face Kevin Anderson in round 3. Anderson is playing well but he’s never beaten Zverev. Anderson faces J.C. Aragone, an inspirational story, then Ernests Gulbis or Alessandro Giannessi in round 2. Zverev should be too much in the third round. Former US Open champ Marin Cilic opens with improving American Tennys Sandgren, Cilic will then face Rogerio Dutra Silva or Florian Mayer in round 2. Thanasi Kokkinakis faces Diego Schwartzman or Carlos Berlocq after defeating Janko Tipsarevic in the opening round. Cilic and Kokkinakis should face off in round 3, Cilic has not been fit this summer and hasn’t played matches. Kokkinakis is getting better and better off a long injury layoff, I have him upsetting Cilic and reaching the second week. Veteran David Ferrer opens with qualifier Mikhail Kukushkin, Evgeny Donskoy or Andreas Haider-Maurer will follow. I have the Spanish grinder defeating Jared Donaldson in round 3 after Donaldson beats Nikoloz Basilashvili and either Ruben Bemelmans or a struggling Lucas Pouille. It’s a great opportunity for Donaldson, but Ferrer finds a way to win matches. In the weakest section of the draw, Pablo Carreno Busta should defeat qualifier Evan King, Dmitry Tursunov/Cameron Norrie and either Nicolas Mahut or Albert Ramos in round 3. I have Mahut beating Marton Fucsovics, then Ramos (or Denis Istomin) in round 2 before falling to PCB. The Shapovalov/Medvedev winner faces Jo-Wilfried Tsonga or Marius Copil. Denis Shapovalov is in better form and should upset Tsonga. Look for Kyle Edmund to defeat Haase, then Steve Johnson or Nicolas Almagro in round 2. Johnson is a home favorite, but Edmund is in better form and I tip him to advance to round 3. I have Shapovalov reaching week 2. All four of these players, three of them young guns, are very talented, but they will need to step up on a big stage to make deep runs. Struff would need to upset Berdych and Fognini to reach week 2. Fritz needs to get past Dominic Thiem to reach at least the round of 16, Chung would need to upset big server John Isner. I have Shapovalov making the deepest run, and I also feel he’s the most talented of the bunch, the draw sets up the best for him in terms of reaching the second week as Tsonga is not in good form. Nadal has a clear edge on Berdych, Dimitrov will be the favorite against Monfils despite the Frenchman’s skill level. Federer could be upset by Kyrgios but it seems unlikely. Thiem vs Bautista Agut is an interesting matchup, Thiem has more talent but RBA is more consistent. Querrey should beat his friend Isner, Zverev is the favorite against the American #1 Sock, I have Ferrer edging Kokkinakis, and Shapovalov in, at least, the quarterfinals. A Nadal vs Federer semifinal seems likely, despite Dimitrov and Thiem’s ability to upset the apple cart. Zverev should also reach the semis given his good form, I have Shapovalov making a storybook run and beating Ferrer. Federer and Zverev will be favorites for a reason. Federer should win another slam, this time against an opponent playing in his first slam final.